We accept credit card donations over the phone. Call 709.476.3003 to donate today. For just $100 per year you can become a member of the Home from The Sea Foundation. Our mission is simple: to take care of a beautiful memorial to sealers from all communities and ensure through outreach and education that we never forget their sacrifices. Your donation will help us find and share more stories of our rich maritime heritage in the newsletter you will receive with your membership. 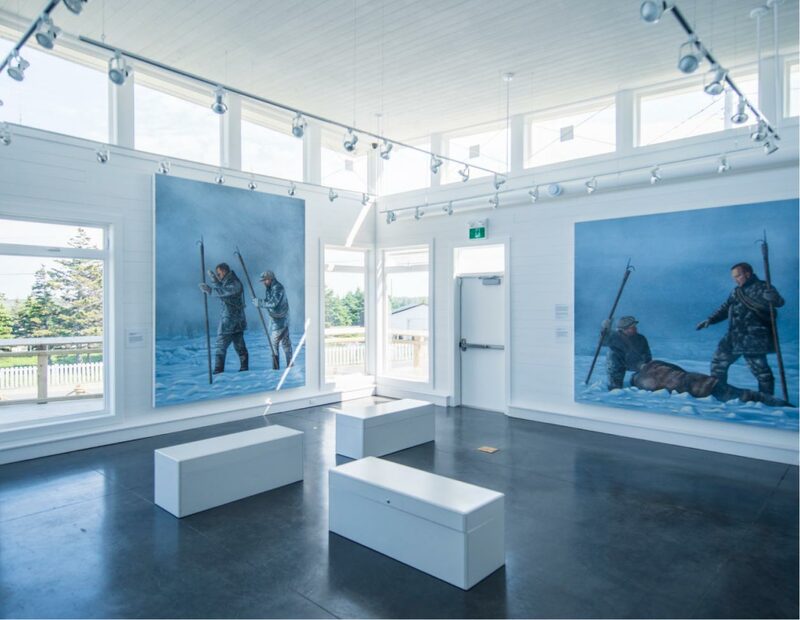 The Elliott Art Gallery is a bright, beautiful space with high ceilings and air conditioning, an ideal setting for small receptions of up to 40 people. Contact us and we can examine configurations to suit your requirements. For a nominal fee, we can also include private access to the museum with or without an interpretive guide. We can also recommend catering and server options. Click to see the floor plan and views.